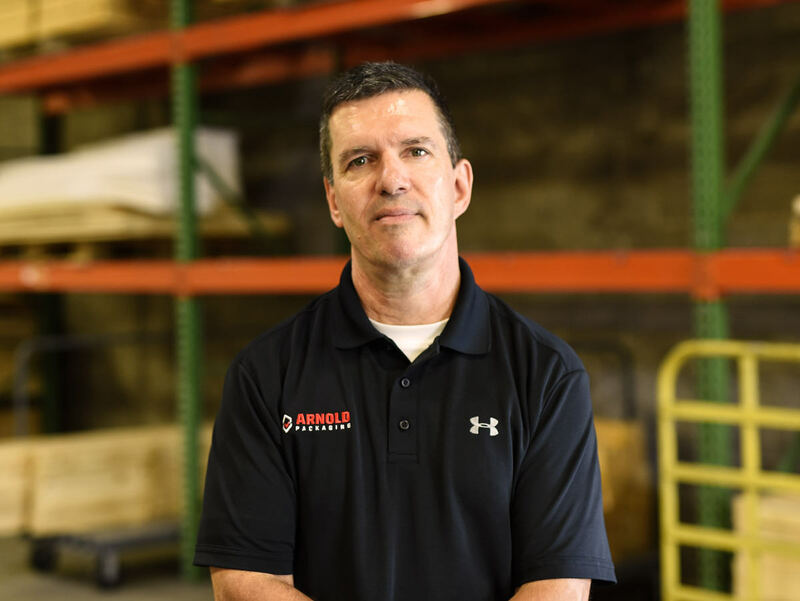 Before coming to Arnold Packaging, Greg spent a combined 20 years in the printing and packaging industries, building leadership experience as a quality manager and plant superintendent. He also spent seven years as a production manager in the custom machine engineering business. Greg is one of those valued people who can see both the details and the big picture, stemming from both his experience and his humility. “I would never expect a co-worker to do anything I wouldn’t do myself,” he says. Among various responsibilities, Greg improves operations by holding every executive-level decision up against two requirements. First, it needs to be in line with the company’s overarching vision and mission, and second, it needs to add value to the bottom line. “Value can be subjective, because there is an opportunity cost associated with every decision,” Greg explains. “The greatest value comes from providing the best working environment and resources to execute the decision you’ve evaluated and selected.” Much of that comes from two of Greg’s primary roles: communicating the business objectives to all employees, and creating an environment where employees can grow and succeed while carrying out those objectives. All of this leads to an operation that can provide an unsurpassed level of quality, efficiency and consultation to Arnold Packaging’s customers, leading them to greater profitability. Greg earned a bachelor of science degree in management from the University of Maryland. He is actively involved in his church, having taught religious education to young adults for more than 20 years and leading many church events and programs.